The day of the launch: 7 March 1958. 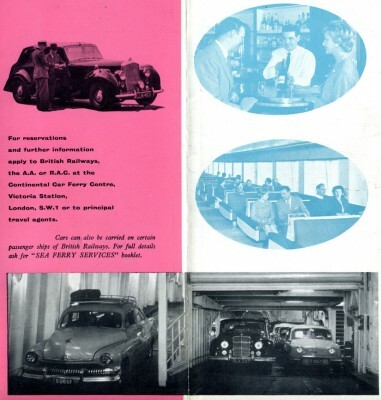 Most of the ships coming under the category on this blog of ‘the pioneer car ferries’ date back to the 1960s. Although this is 30+ years after the appearance of the first proper international car ferries, in the form of ships like the Kronprinsessan Ingrid (1936) or the first Peter Wessel (1937), it is perhaps fair to say that it was in this decade that the car ferry truly flowered. It became not only visually recognisable to its modern form, albeit much smaller, but its usage also broadened massively; the sheer volume of car ferries constructed around the world in this decade are testament to changing times – to the car ownership boom and to the ability to take and desire to have international motoring holidays. 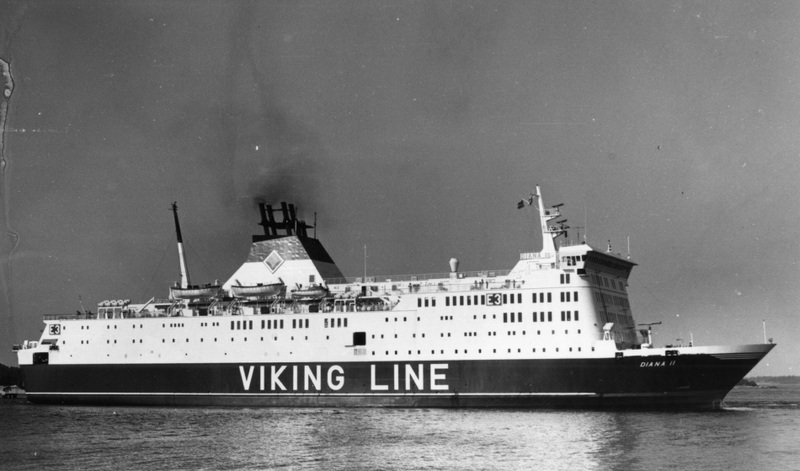 From a British perspective, we have seen this in previous entries relating to the Norwind/Norwave, Viking I & II, Munster and Free Enterprise. 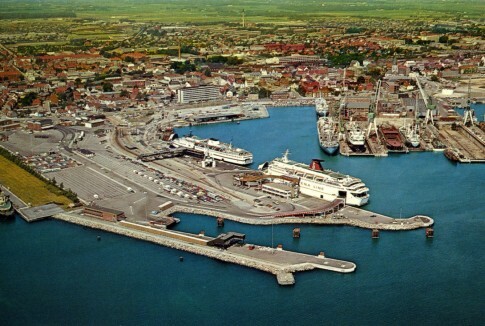 The latter ship was an interesting example of an independent operator getting the formula right and it has often been noted that the ‘railway’ ships against which she competed were old fashioned. This is true only to a degree – the British railway ships, until the later years of the decade, certainly fit this description. 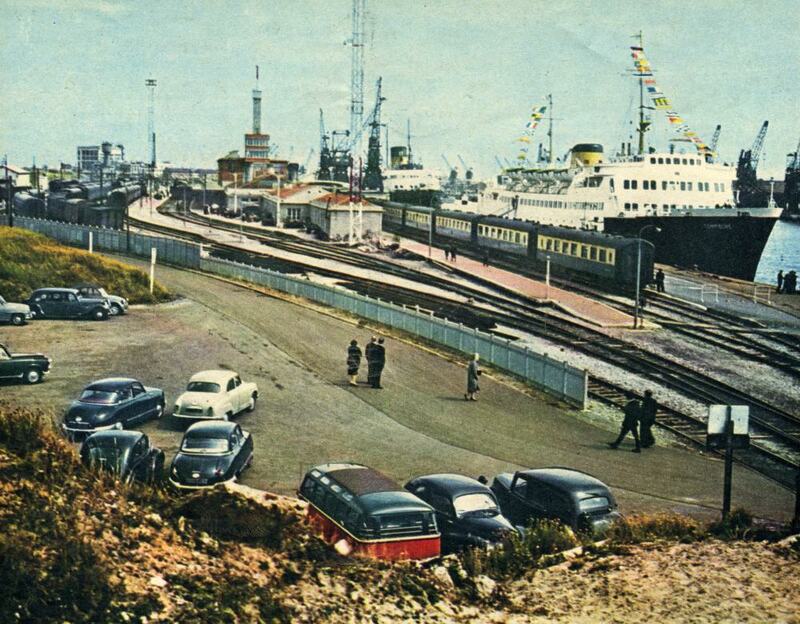 The ships of SNCF, the French railways, were slightly different. 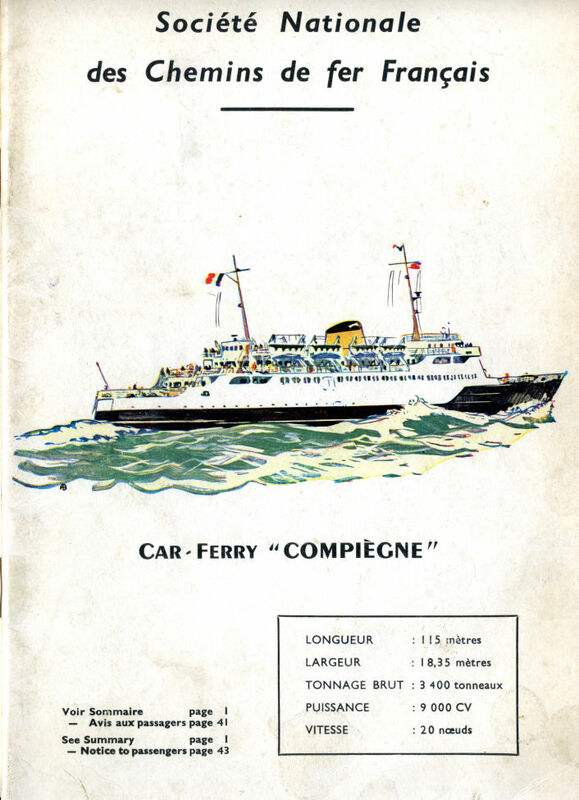 Certainly, a vessel like the beautiful CÃ´te d’Azur of 1951 was very much a classic passenger steamer, but the fleet also included the distinctively modern, Danish-built, train ferry Saint-Germain and, dating back to three years before the Free Enterprise, the car ferry CompiÃ¨gne. The CompiÃ¨gne was a radically different ship to anything else sailing around the British Isles upon her introduction. It is almost difficult to believe she entered service the year before British Railway’s much more traditional-looking Maid of Kent of 1959, although actually the ships bear some comparison – broadly similar in dimensions, capacities, service speed and intended operations they were remarkably different solutions to a similar design brief. 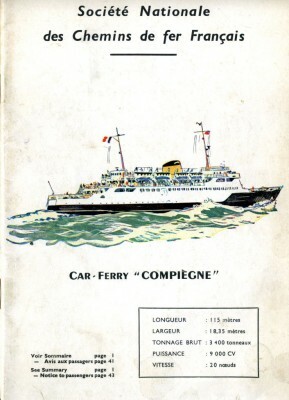 The Maid of Kent was in many ways an enlarged, beautified version of the Lord Warden of 1952, whilst the CompiÃ¨gne instead owed more in appearance to the Saint Germain of the same year. 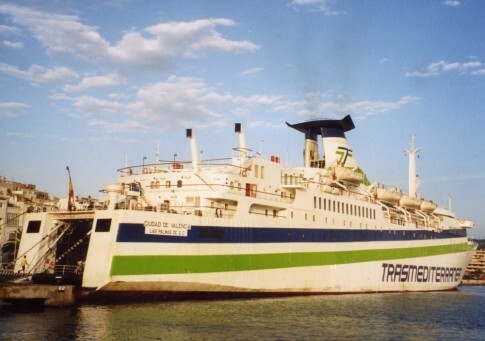 The French ship looked – and in many respects was – a much more advanced vessel than the Maid of Kent, whose steam turbine propulsion in particular dated her and whose more classic lines were perhaps a concession to criticism of the slightly ungainly aspects of the Lord Warden. 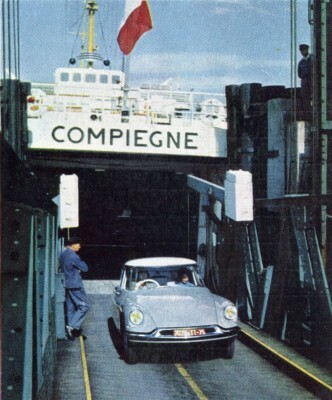 The Rouen-built CompiÃ¨gne introduced a number of firsts to Cross Channel traffic, many of them technical advances which would be replicated in ships throughout the following decade. Controllable pitch propellers circumvented the traditional means of ship control via the engine room telegraph and meant the vessel could be manoeuvred directly from the bridge whilst she also had a pair of bow thrusters which bringing the ship alongside and moving off the berth. 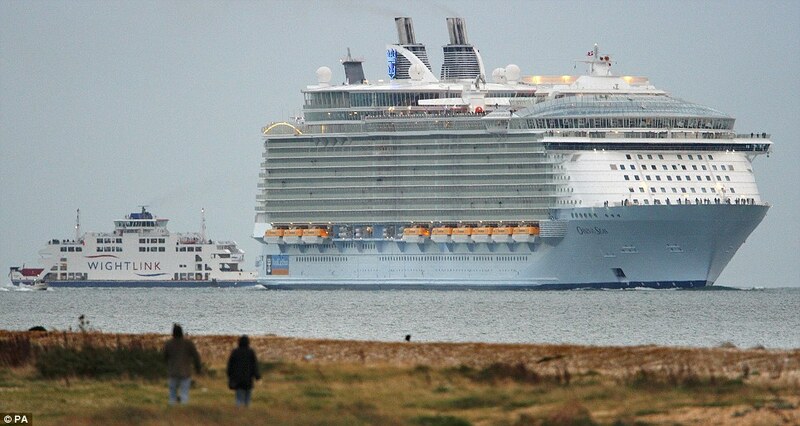 The vessel was also all welded in construction, rather than riveted. 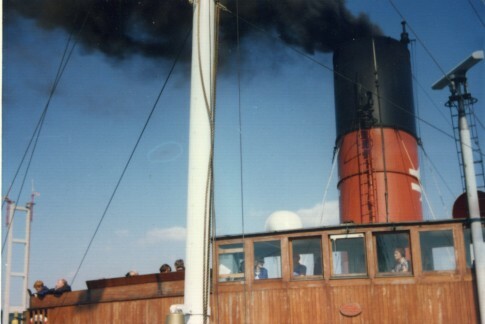 One area where the ship was not significantly different to the Maid of Kent was in the arrangement of the vehicle deck, being a stern-only loader with a central casing, fixed mezzanines forward and space in the after part of the garage for the carriage of a limited number of high sided vehicles. 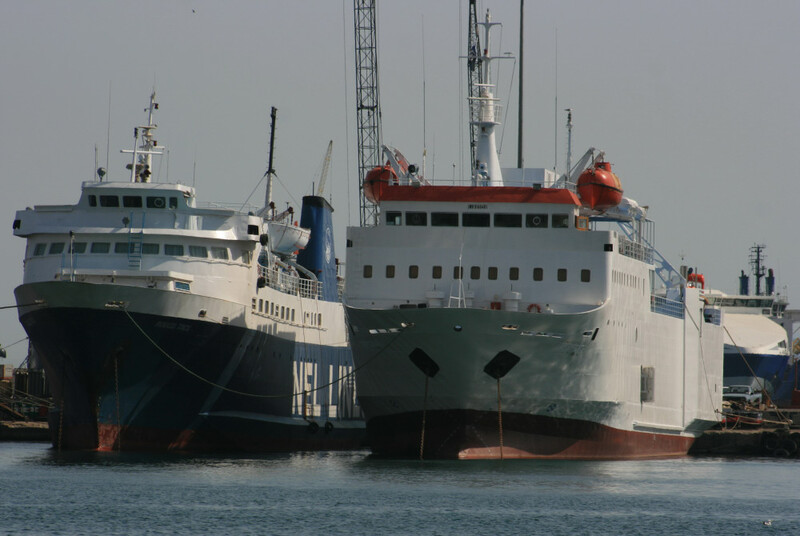 The new CompiÃ¨gne alongside at Calais Gare Maritime with the Invicta astern. 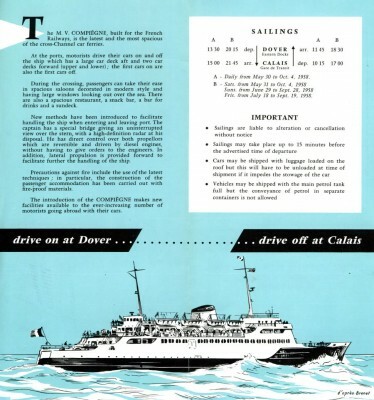 When the ship entered service in June 1958, she was deployed on the Calais-Dover route. In those days, British Railways operated their car ferries on the Dover-Boulogne crossing and the French ship was therefore placed into direct competition on the Calais run with Townsend Car Ferries whose converted frigate Halladale was nearing the end of her operational life and would be replaced with the Free Enterprise in 1962. 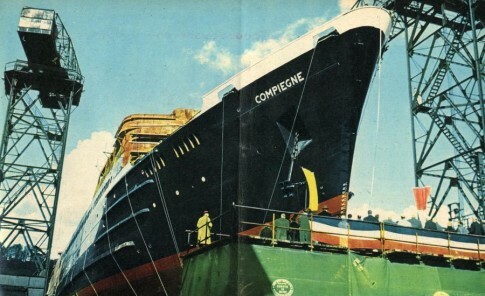 After 1970, the CompiÃ¨gne was seen more frequently at Boulogne and she remained in service on the Channel for well over twenty years overall. 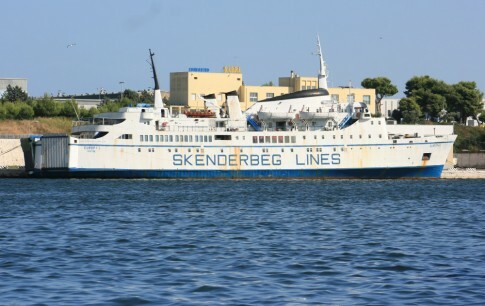 Sold to Strintzis in 1981, she operated on a number of Adriatic and then Aegean services before becoming a pilgrim ship in the Red Sea. 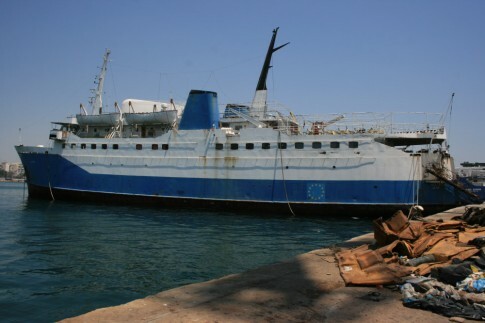 Abandoned for many years in Alexandria, she amazingly survives to this day in poor condition as the Al Ameerah. The initial timetable was not particularly intensive, being one round trip a day, rising to two at weekends and on Fridays in the Summer. Most of the year however she would sit in Calais for 19 hours each day. A British Railways brochure featuring the CompiÃ¨gne's modern passenger saloons which seem to present a severe contrast to the illustrated motor vehicles . 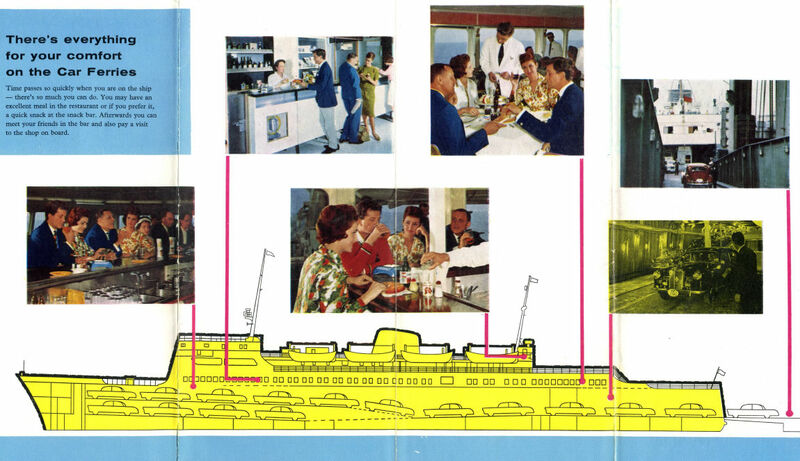 The ship's vehicle deck can also be seen with its fixed ramps and space for cars only on two levels at the forward end. 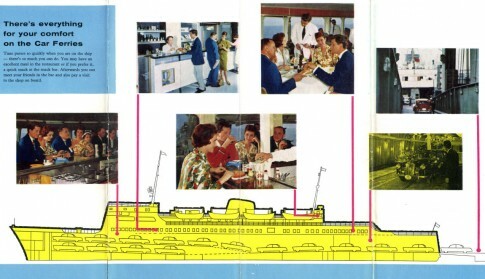 More interior views, including the restaurant, aft, are shown alongside this cutaway view. 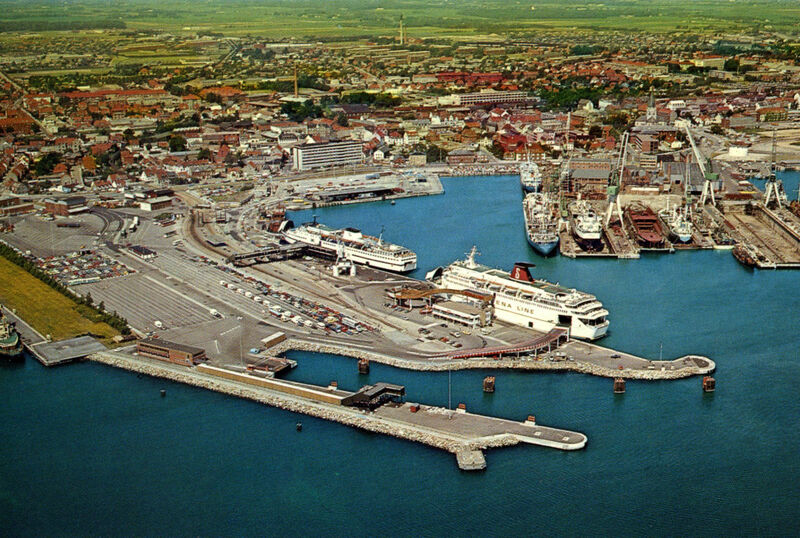 The vehicle deck and unloading scenes are from the British ships Maid of Kent and Lord Warden respectively.